specialist for Düsseldorf. Contact me if you need a Stand in Düsseldorf. 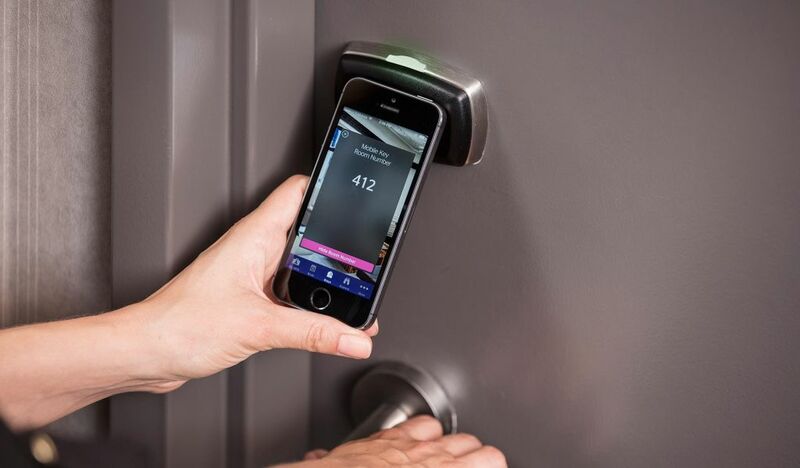 IHTF is a leading face-to-face event for the hotel technology industry. It represents an intensive period of industry discussion and learning amongst leading players, providing opportunities to discuss major issues affecting your business with your peers, through extensive networking. 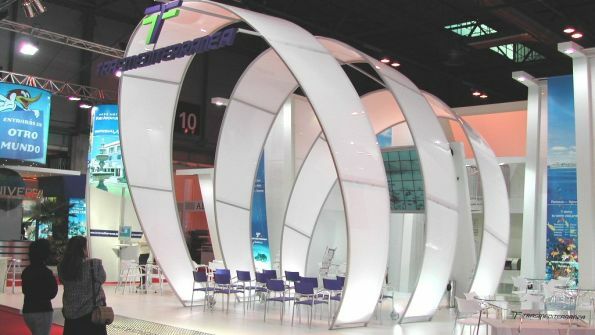 If you need an experienced stand designer to draw & build your stand, you do not have to search more! 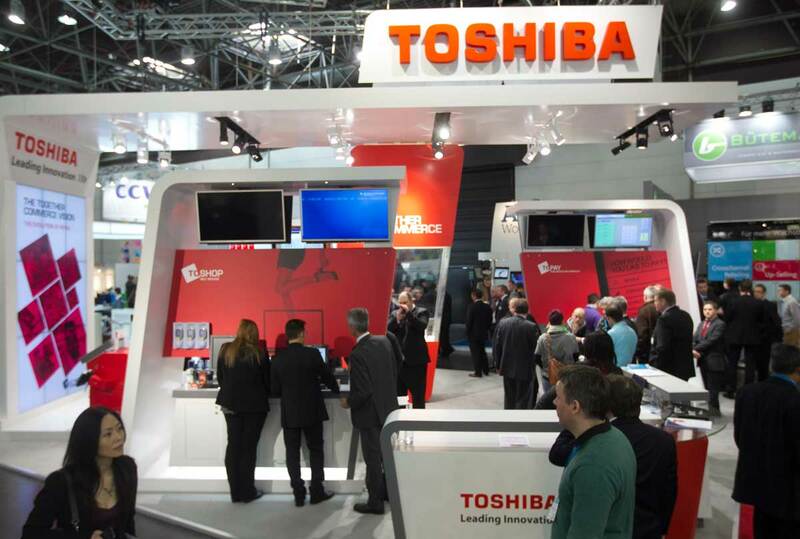 Contact our team of experts in trade shows - they'll assist throughout the whole process. Fill out our form and meet the best Stand Contractors in Düsseldorf . Join IHTF and meet many well-known companies, such as: Crave, Cendyn ONE, ENG Infotech, FCS Computer Systems Limited, Cyberair, Fornova, Guest-tek, Hafele, Frosmo, Honeywell, Hospitality GEM, Index Hospital Systems, Index Annoncer, iDISO, iRiS, Knowcross, LG, Media Carrier, MCOM Media Communications, Otrum and Ruckus Wireless. 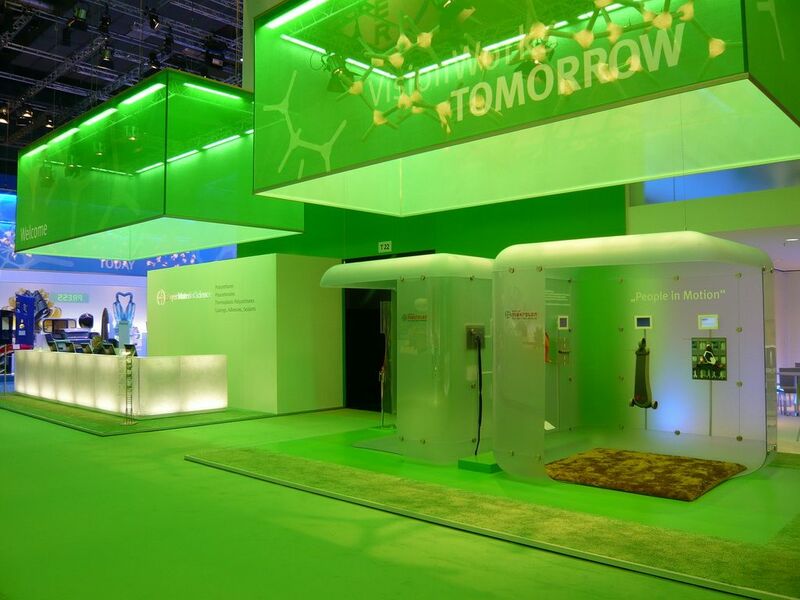 ESE is a worldwide leading platform for the energy storage industry! 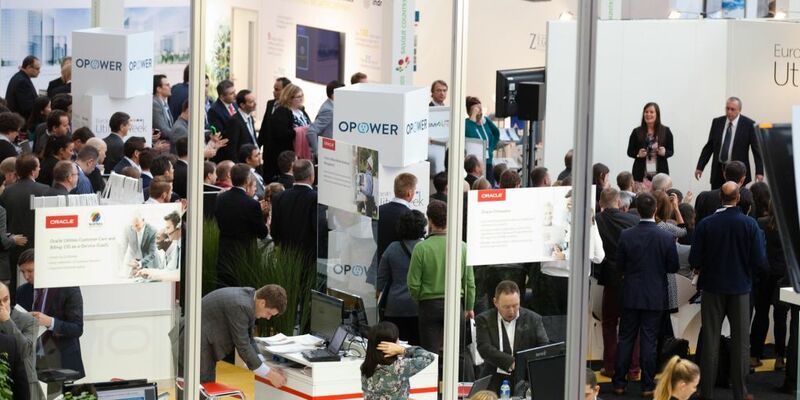 As one of the worldwide leading platforms of the energy storage industry, Messe Düsseldorf will host, once again, the Energy Storage Europe (ESE)! This expo & conference aims to present the latest technologies and solutions, while uniting experts from all around the globe. If you're planning on exhibiting, contact our team of experts in trade shows - They'll be delighted to introduce you to the to best Stand Contractors in Düsseldorf! 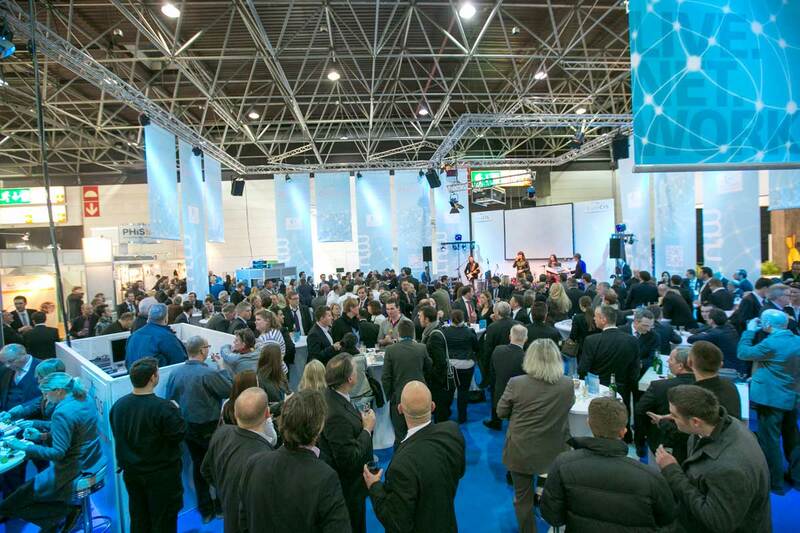 Networking Opportunities: Leading minds from the sector meet up at Energy Storage Europe. Renowned speakers, exhibitors, visitors and conference guests from the most important companies and organisations – there is no better venue for meeting existing and new customers and expanding your network. 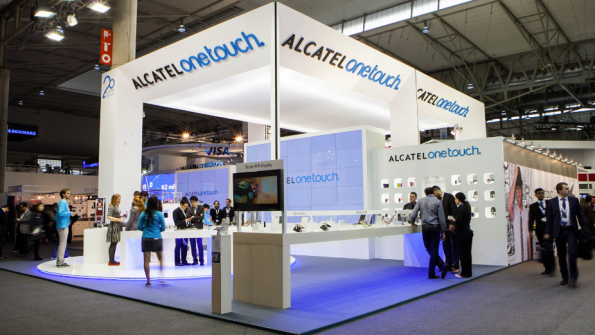 Sales Opportunities: Here you'll be able to showcase your products and technologies and develop new customer bases! There's no better platform to generate sales leads and build relationship with prospects. Learning Opportunities: Discover first hand what is state of the art in energy storage technology! ESE offers you many seminars, round-tables and product presentations. 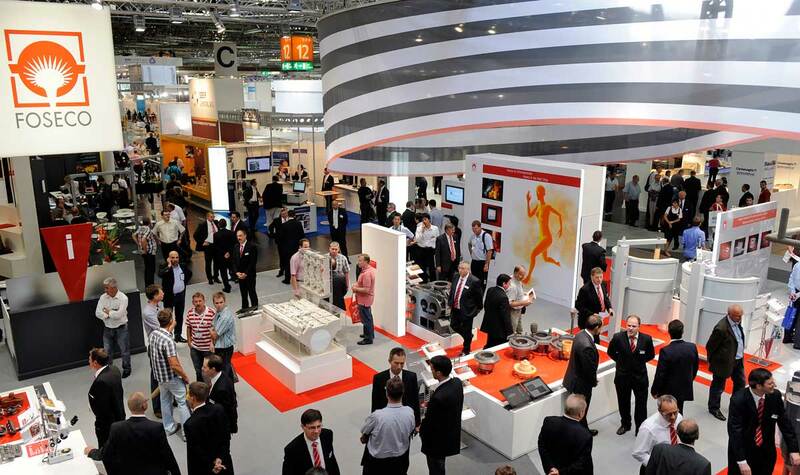 Held in Düsseldorf, K is the world's premier fair for the plastics and rubber industry. Each edition, K attracts the world’s broadest spectrum of international trade visitors and decision-makers from all the relevant sectors. It is the ideal platform to forge new business deals, network with experts from all around the globe and generate sales leads. Interest in attending the next K as an exhibitor? If so, apply for an exhibition stand and contact our team of experts in trade shows. 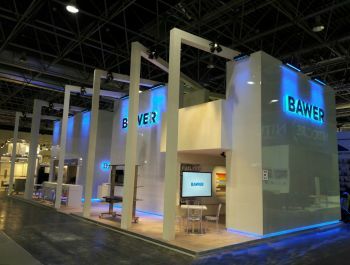 They'll introduce you to the best Stand Builders & Designers in Düsseldorf. Remember: an attractive booth will definitely be a plus! Raw Materials, Auxiliaries: thermoplastics, resins and compounds, foams and intermediates, rubbers, synthetic fibres, bristels, tapes, coating compounds, adhesives, glues, additives, fillers, reinforcing fibres, starting materials, etc. Plastics Products and Processing: processing technologies, follow on treatment of plastics products, products (printing blankets, cointainers, fastenings, gasins and cabinets, etc), films, etc. 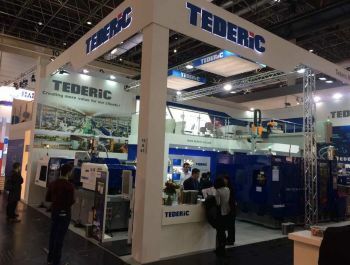 Machinery and Equipment for the Plastics and Rubber: machines & equipment for preprocessing and recycling, post processing machines, welding machines, mould and dies, ancillary equipment, parts & components, etc. 1 Blow, Nextool, 3A Composites, Mapro Deutschland, Abhilash Enterprises, Acim Jouanin, Balingen, Maincor AG, Aixfotec, Akron Ohio USA, Metrastat SA, Novotex Italiana, Karnasch Professional Tools, Nordson Extrusion Dies Industries, Lectroheat Industrial, Lapis Lazuli Pigments, Pratik Heat Products, Reagens, Rhee Yeon Foamtech, Roquette Frères, Rowasol, Sai Machine Tools, Sanem Plastiks and Schüchl Vakuum-Maschinen are some of the companies that choose K to present their products & services. Join this outstanding community and find your ideal business partner! Get ready to meet hundreds of experts within the plastic product manufacturing, chemical industry, rubber manufacturing industry, electronics industry, ICT, etc. Grab this opportunity and meet thousands of qualified buyers who are searching for innovative solutions like yours! Boot Düsseldorf is an absolute must for every sailor! Boot Düsseldorf is Germany's International Boat Show. Attracting over 1700 exhibitors and more than 230000 visitors per edition, this event is an absolute must for every sailor! 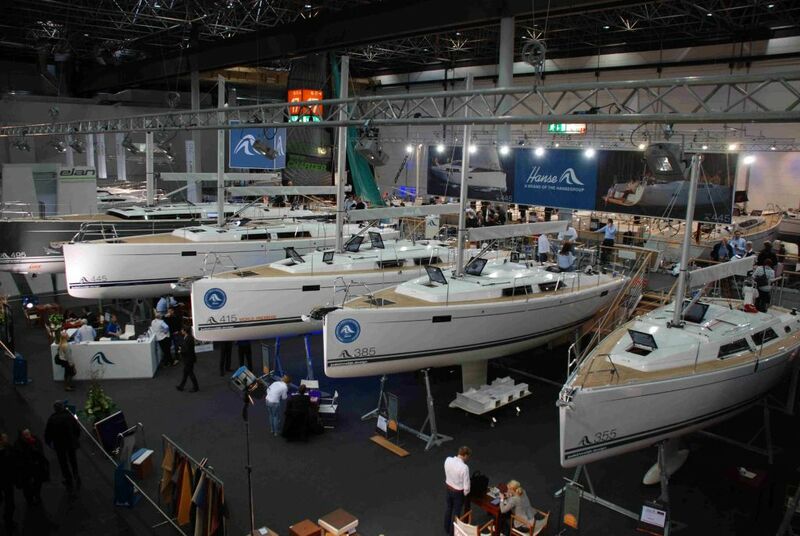 If you want to find the world's best boats, yachts, canoes, water-sports accessories, nautical equipment and related services, then don't wait any longer - Boot Düsseldorf is right around the corner! If you are interested in being a sponsor or exhibitor, visit the event's official page. 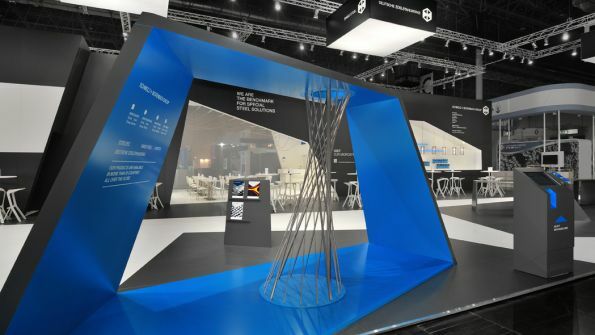 When your exhibition space is assigned, contact our team of experts in trade shows - they'll introduce you to the best Stand Design Companies in Düsseldorf! 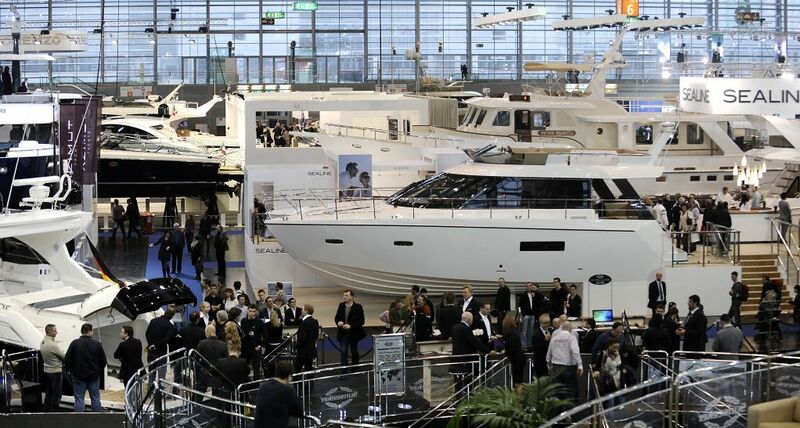 Boot Düsseldorf attracts companies from all around the globe! For instance, Germany, Belgium, Italy, Netherlands, China, Austria, Ireland, USA, Poland, Cyprus, Finland and Estonia are highly represented. 727 SailBags, A.Kähne Bootsausstatter, 2K Yacht Kraus & Kraus, Absolute SA, Albatross Sportswear, Boote Pfister, Boote Polch, Casaveo, Capo Galera, Cantieri Poroli Linneo Boats, Casa Mia Resort, Cavida Sports, Deep Ocean Blue Diving, Delius-Klasing, Divesoft, Diving Torches, Fiart Mare, Finn Sub, Finnish Marine Industries, Green Dreams Boats, Hähnen, Halocline, Jeanneau and Latitude Kinsale Bobby Nash are some of the companies you'll meet in this fair. Join them and forge valuable pertnerships! GDS (Global Destination for Shoes & Accessories) is becoming a global destination for shoes and accessories. It provides the platform for manufacturers to stage their brands and products and is becoming the place for the industry to gain a crucial overview. 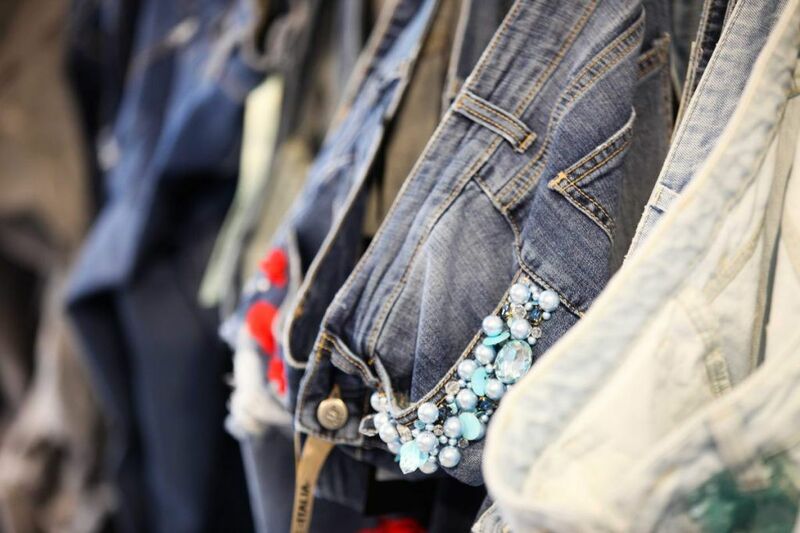 GDS is the perfect place to showcase new collections! Grab this opportunity and apply for an exhibition space today - many well-known brands, such as Desigual or Fly London, already confirmed their presence. 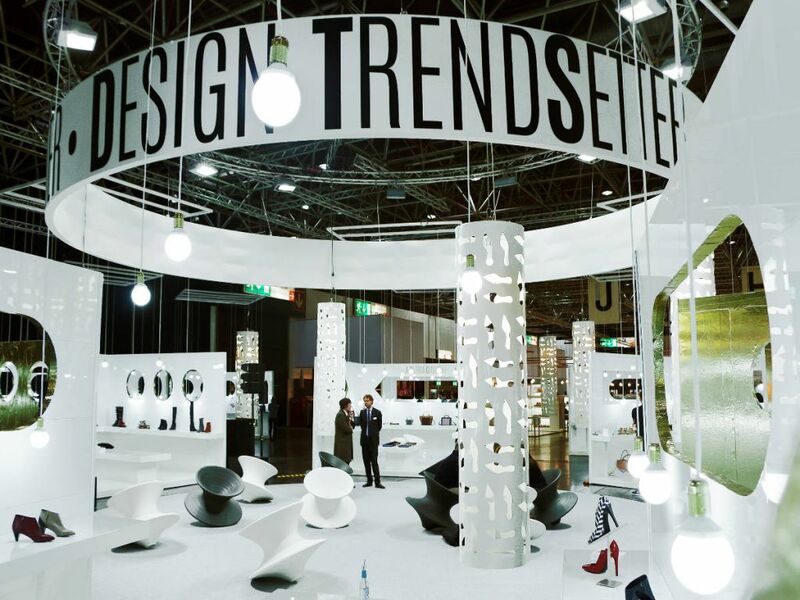 If you want to stand out, our team of experts in fairs will introduce you to the best Stand Designers in Düsseldorf. A showy exhibition booth will certainly be a plus! Abeo, 181, Aku, Alberto Fermanu, Aspiga, Azuree, Belmondo, Beppi, Bo-Bell, Bugatti, CafèNoir, Ca' D'Oro, Caprice, Caramschi, Cat Footwear, Crocs, Desigual, Donna Carolina, Fila, Flex & Go, Fly London, Gant Footwear, Happy Bee, Hummerl, Jack & Jones, JJ Footwear, Jeffrey Campbell, Marc O'Polo Shoes & Legwear, Miss Sixty, Pepe Jeans, Replay and Skechers are some of the brands that participate in this trade show. Join them and discover exciting new trends & collections! According to official data, GDS attracts professional visitors from all around the world; The Netherlands, Belgium, Portugal, Great Britain, Switzerland, Poland, France, Austria, Spain and Italy are the countries with more representatives. However, there are also many visitors from Asian countries, the Middle East and Africa. 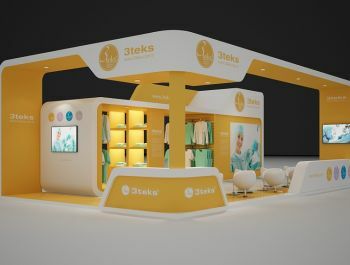 Don't wait any longer - apply for an exhibition booth and expand your brand! The gallery is Germany's hot spot for the fashion industry. Whether you're looking for new designers or extravagant accessories, The Gallery is the place to be! From visibility to credibility, exhibiting at a trade fair has thousands of benefits for your business! So, if you're part of the fashion industry, apply for an exhibition stand at The Gallery! 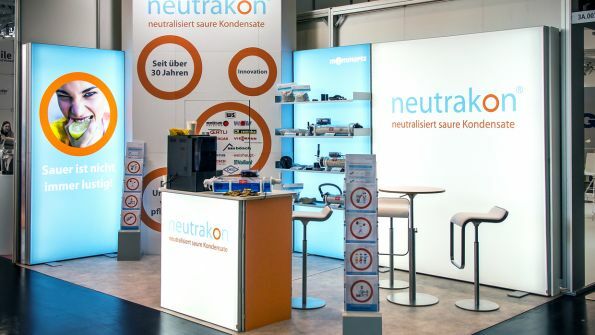 In order to stand out, contact our team of experts in fairs - we collaborate with many Stand Booth Contractors in Düsseldorf and we can easily find the one that best fits your needs! The gallery attracts many incredible brands such as: Aladdin, Aino, Amber, Cape Horn, Bud to Rose, Carla Vi, C Studio, Eve in Paradise, Fattori, Francesca by Sottini, Jeff, Juicy Cliques, Kikko, Lana, Lapis Italia, Maxjenny!, MossaPour, Rya Maille & Textile, Thé and Webber & Webber. 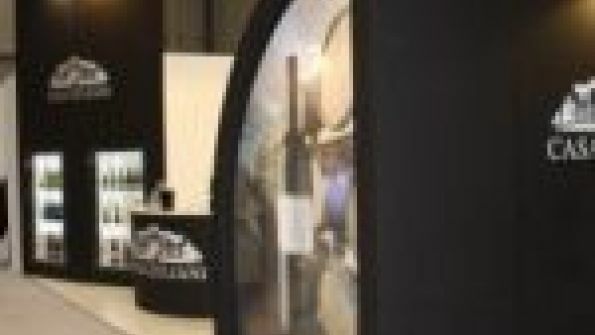 incredible names such as Peek & Cloppenburg, Triaz Group, Lengermann & Trieschmann, Carpe Diem, Carsch Haus, Bon Prix, Werthmann's Mode & Lifestyle, Ober Pollinger, Stöberkiste, Kadewe Group, Engelhorn, Apropose, Modehaus and Ludwig Beck am Rathauseck. And it is strictly professional: GALLERY is accessible exclusively to trade visitors from the fashion and textile sector as well as press representatives. NEWCAST is the platform you need for your Precision Castings products! 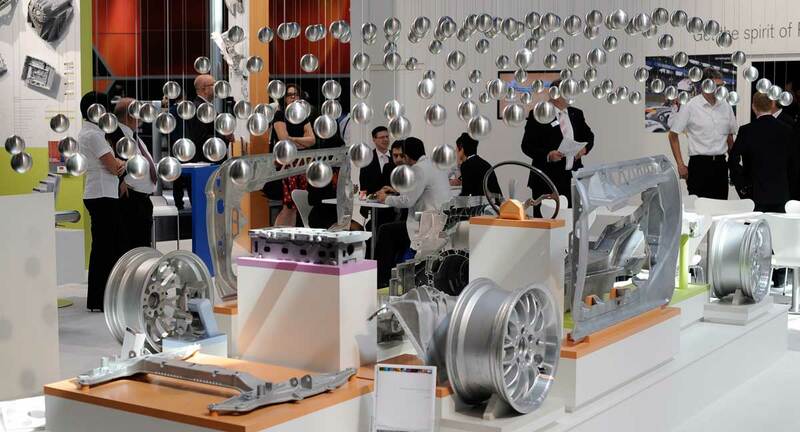 At NEWCAST, you are able to see more than 2,000 exhibitors that talk about Precision Castings. Bringing a result of being one of the top trade shows in the sector as it reaps in more than 79,000 visitors from 83 countries. The developers and designers are bring in their extra creativity and support in every area involved. As it is known for being a main meeting place from every point of view, there are thousands of opportunities to be held here just for you. With each edition, it receives great feedback and reviews as it encourages newcomers to book their own stand. This is a friendly way to have new contacts and talk ones that are already on your list. Don't miss out today and get what you are looking for. From exposing your stand designs to giving out the best piece of advice in the sector, your company needs to be front and center. Enjoy this trade show to climb higher in the industry. Keep your stand ready at Tube Düsseldorf! Tube Dusseldorf will leave you nothing but impressed. 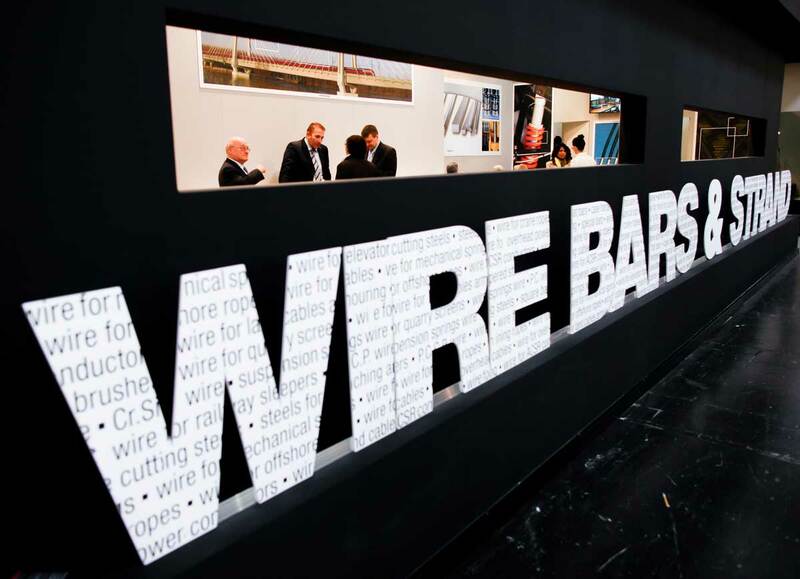 It brings in more than 78,000 professionals who all want to see the latest in the wire and cable industry. No matter what section you come from, you are able to see featured products that will benefit your present and future. New trends, top-notch products and manufacturing facilities that will all surprise you. Be sure to have a space for your best products and take advantage of the speakers, seminars and workshops. 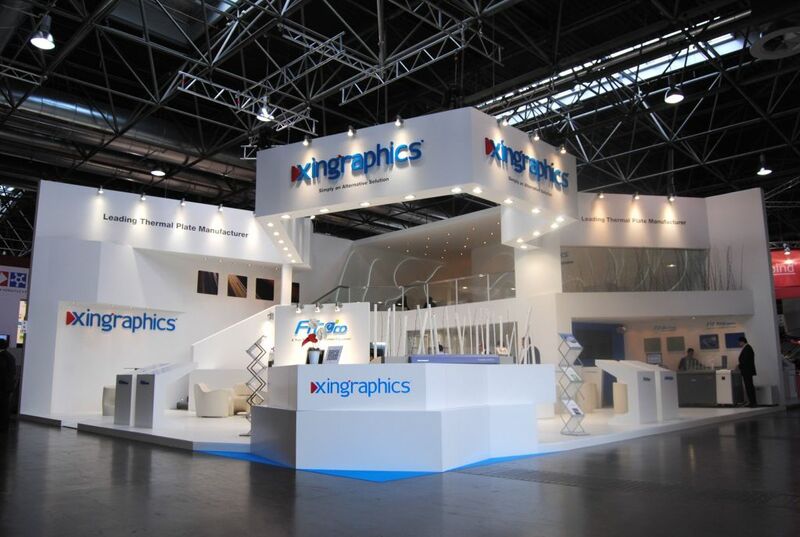 We will love to guide you to have the best stand design there is, as our specialists know the best ones in the area. Talk to us with your ideas and we will make you sure you will have nothing but the best at Tube Dusseldorf. 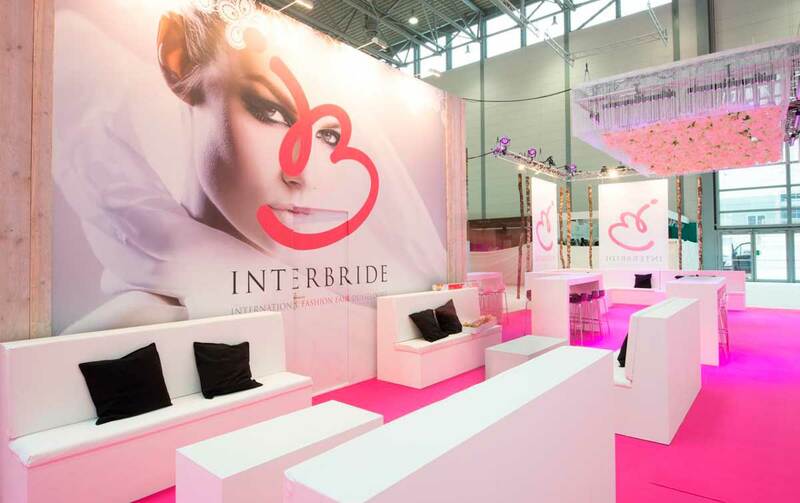 Book a stand at Interbride International Fashion Fair and take advantage of all its benefits! Join the trade show that brings together more than 170 exhibitors and 2,900 visitors together, all of them interested in contemporary bridal fashion and occasion wear. At Interbride you will find the best environment for your wedding details and products. You will be able to take advantage of the great networking areas, seminars on how to apply to right products for your big day and even fashion shows. Book a stand and show the world what you have got. 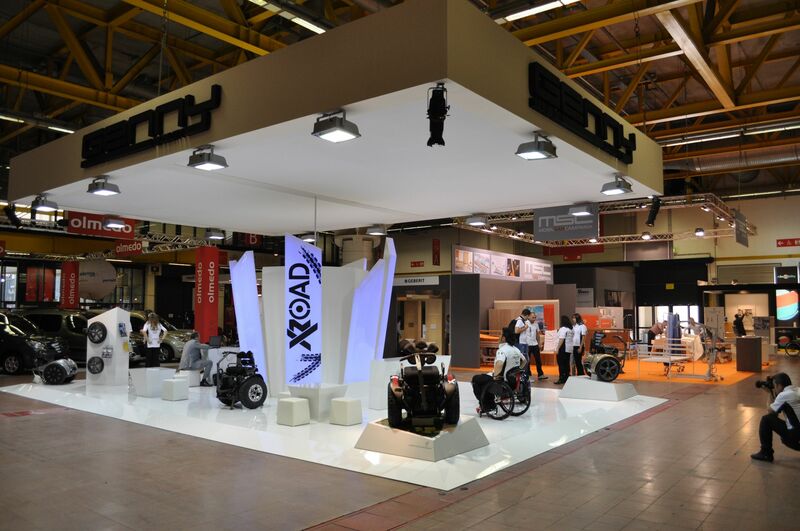 We would love to guide you to the right kind of stand builders and designers in the area. Take your business to the next level and see the novelties in apparel, clothing, fashion, ready-to-wear and of course, wedding styles. 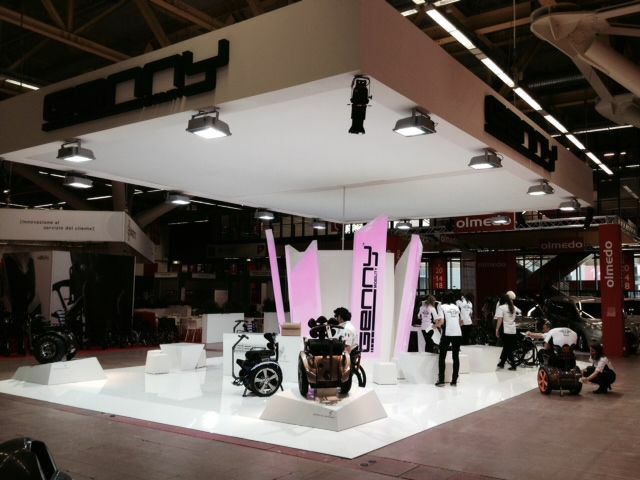 Viscom is the main trade show in all of Europe where you can find everything you need to know on visual communication. You can actually find out all that you need through a 360 angle on the sector. Because thanks to their full program you are able to find out the latest in all kinds of areas, such as marketing, agencies, creative art, designer and much much more. This is the ideal place to make smart decisions, where visitors are allowed to come by with their greatest products and reap all the benefits. A show that is both visionary and decisive, as you can assist on the cosntant sell and buy going on. Check out the show and bring the best of what you have. As you book a stand, make sure to talk to us to find out the coolest stand designers in the area. We would love to help find what you need. GDS is more than a meeting for the most important manufacturers and buyers of footwear and accessories, it is the key meeting point to discover collections and trends. As easy as taking a stroll through the greatest shopping capitals of the world. There is nowhere else you can find more than 906 exhibitors from 32 countries all under one roof. Moving forward to having open doors to 15,663 visitors in which 42% are from abroad, each year it keeps growing even higher. Enjoy all the three worlds of shoes and accessories, new segments, collections and trends and everything else you need. GDS has become the global destination for these products, as it provides the perfect platform for manufacturers to stage their brands and products. And it is also becoming a place for the industry to gain a crucial overview too. Adding to all these wonders, there are specific areas that create three worlds to create market places for communicating with your customers. Each area opens a diverse range of new exhibitions and introduces thousands of presentation possibilities. All of these advantages mean that there are plenty of chances to provide the right kind of information to the right clients you need and enhancing your products even more so. Come to Dusseldorf with your own brand and be sure to expand your company even further! 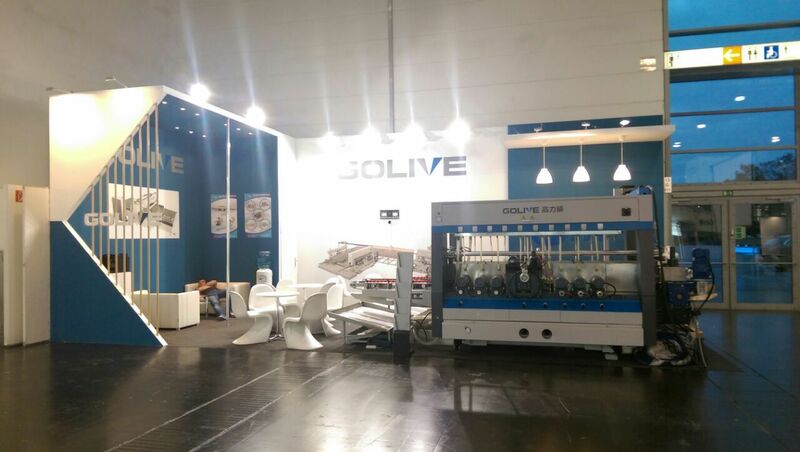 The leading printing expo worldwide is Drupa. It is claimed to be the most important fair due to all the benefits they offer. From the latest developments to product placing, you can talk to anyone who is anyone in the sector, all under the same roof. 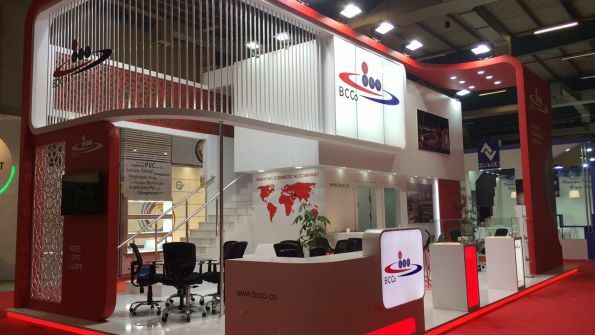 Around 314,5000 visitors attend this expo, year after year, since it is where all the award-winning experts reside in. 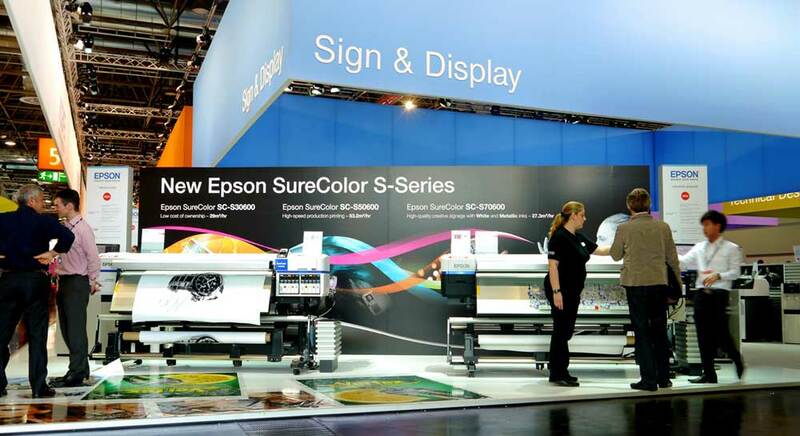 As the print and media industry is constantly changing, new technologies are being launched right from this expo. You need to take part of the action as there is nowhere else like this show. Come by and listen to the keynote leaders, try out the state-of-the-art technologies and take part of new solutions. Keep us in mind when it comes to selecting the right designer for you and what you have in mind. We would love to assist your every need as our specialists give you the best offers. All about the metallurgical technology of tomorrow, METEC is the key meeting place to go to. You will discover the latest trends and ideas from experts that come from around the world. 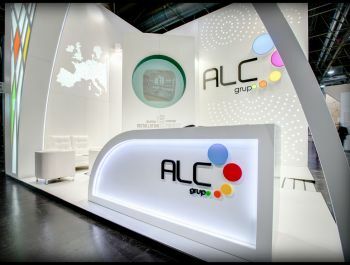 All the stands have a professional look as it is considered as a serious and in-depth trade show. Take a look or book a stand. If you decided to show your products here, let us know as we will help you find the right designer and builder you need, free of cost. 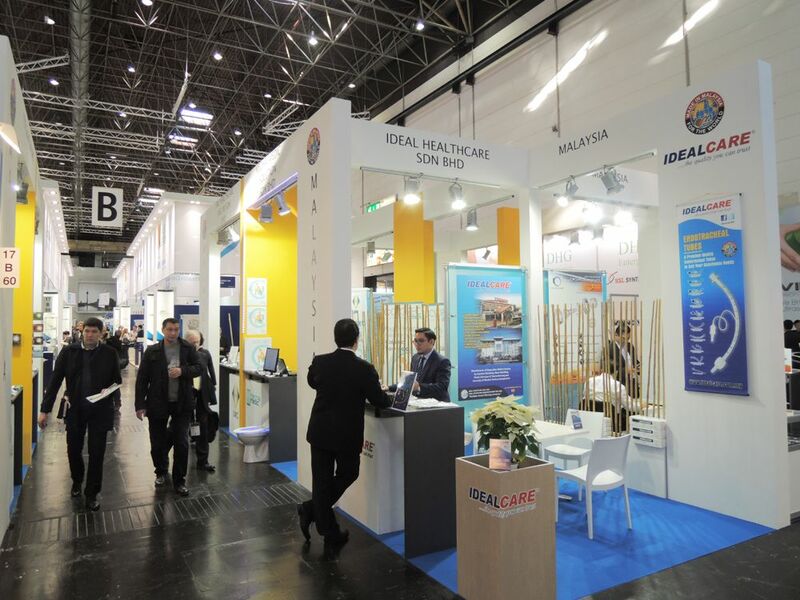 Held in Düsseldorf, as an exhibitor you are able to greet more than 19,000 visitors, where 50% are from abroad. You are able to show your brand to a wider audience, stay in touch with the other 480 fellow colleagues exposing with you and most of all, network to get your business flowing even further. This show gets bigger each year and it is an event that should be highlighted in your calendar. 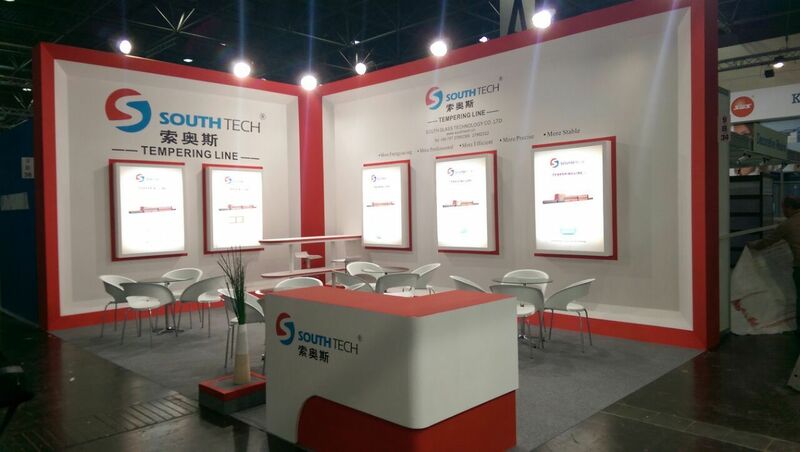 Wire and Tube is the international wire and cable trade fair. 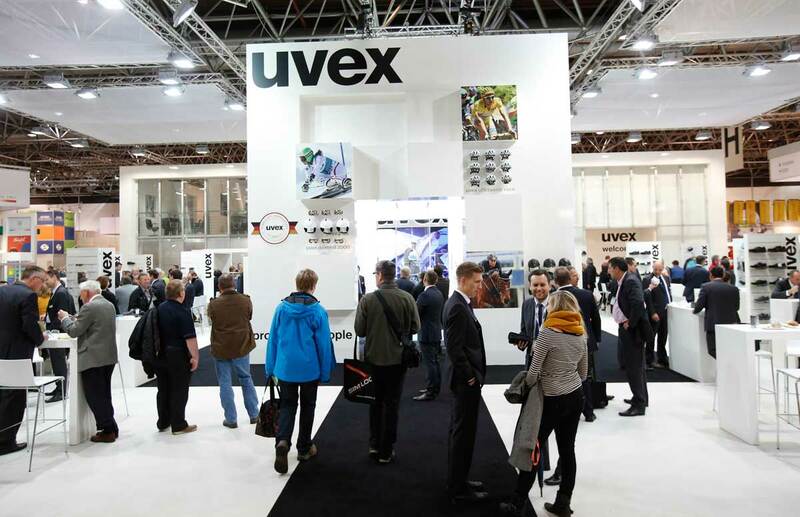 Celebrated every two years in Düsseldorf, it welcomes about 2,400 exhibitors and more than 73,500 visitors. As they come together from more than 50 countries, they will present their latest innovations in all the categories of the industry. The companies participating in this event will give out a broad overview of advancements thanks to the comprehensive program that is filled with talks, Q&A panels, business meetings,round tables and much more. 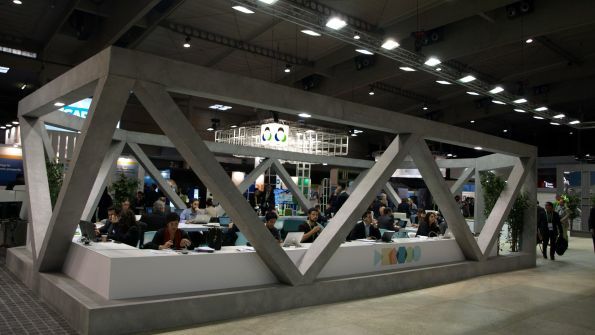 This is where the sector’s companies present their innovations for the first time. And from then on, it is spread around the world. If you are part of a company that produces, process or trades wires, cables and tubes anywhere in the world, you must not miss this fair. Book a stand and contact us to get the best stand designer in the area. We will help you have the design you are looking for! 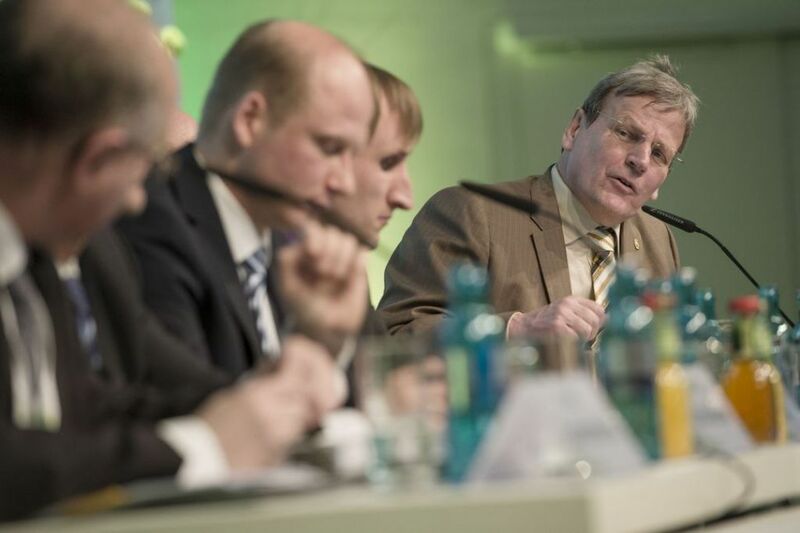 Welcome to A+A Internationale Fachmesse mit Kongress, where you can find out everything and anything about safety and health in the workplace. Be fully informed thanks to its safety experts, health-care professionals and executives that run the show at leading companies. Booths that overflow with special live shows, risk prevention programs, high-tech materials and exclusive protective clothing lines. From runway shows to seminars on how to be safer at work, you will be part of this remarkable show that grows each year. Get the full experience firsthand by being an exhibitor here. There is no way you can go wrong since you can benefit from outstanding services, opinion leaders that are looking to close deals and fellow co-workers from around the world. 60 countries, to be more exact. PSI stands have the most innovative designs! 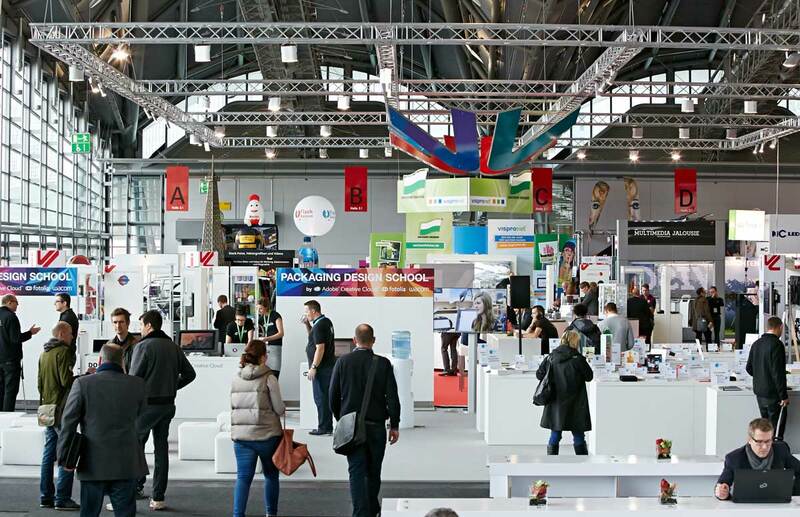 Hosted in Düsseldorf, PSI is the leading European trade fair of the promotional products industry. This international event puts together an remarkable program filled with special features for 3D printing , products premieres, integrated catwalk for the textile sector,continuous conferences and much more. 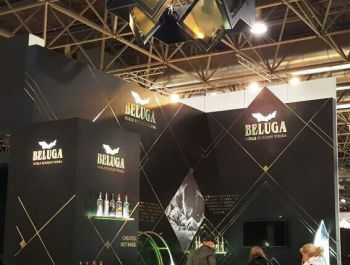 Being held in one of the biggest convention centers in the country, its stands have innovative designs to showcase the products in the best way possible. There is no doubt that the best designers are chosen right away to be part of this fantastic event. The strongest areas for PSI are textiles, Special Designs, Writing Utensils, Bags/Suitcases, Promotional Labeling. They tie in with HALLE13 which is an area for first time exhibitors and inventors. Also provides a safe place for the youngest of companies to spread their ideas and even present their own unusual products. Join in the fun and the hard work behind the scenes at PSI! 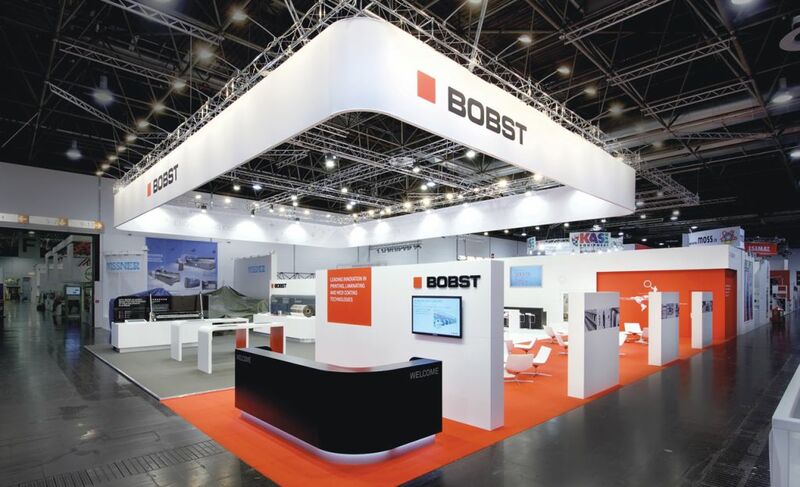 Book a great stand at Boot Düsseldorf! At Boot Düsseldorf, the nautical fair of Düsseldorf, we can see every single novelty that is related to the maritime sector and from every point of view. This fair counts with the biggest stands that will show off all the latest and innovative tendencies, as well as the best professionals in the industry. 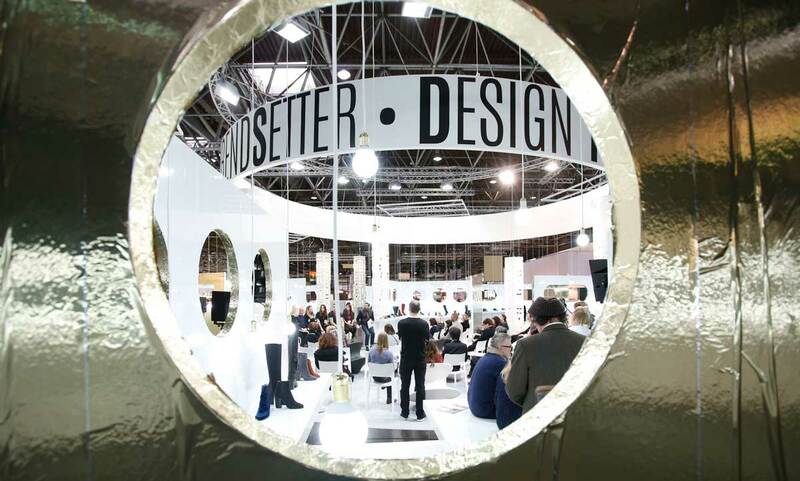 Book your stand with us now and we will help you find the biggest designers in the area that will guide you to stand out in the next edition of Boot Düsseldorf. 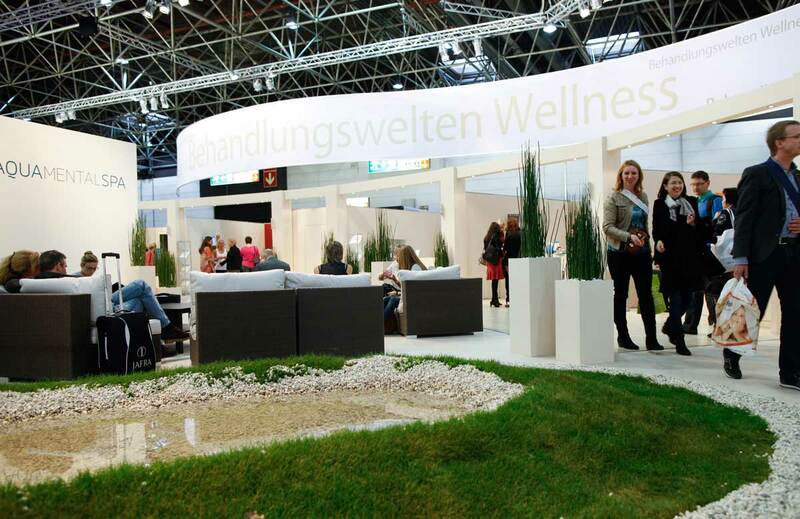 BEAUTY DÜSSELDORF, top international trade fair for Cosmetics, Nail, Foot, Wellness and Spa. This fairground brings together over 50,000 trade visitors with an impressive 1,250 stands. There is a long list of reasons why you should join. Have a few! Knowing the latest fashion trends, exclusive deals, constant networking, stands that give you countless products and original ideas presented in fashion shows and conferences. Presenting endless amount of shows for every section in the fair, the stands are state-of-the-art. They are filled with seating areas and decorative background to invite all the best professionals around for either a make-up session, manicures, a relaxing massage and much more. Anything goes in this fashion forward industry. Don't miss out and book your fabulous stand with us today. 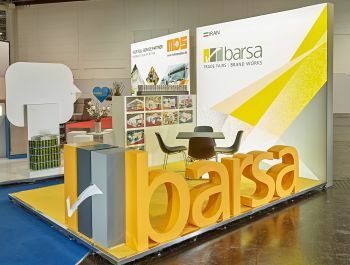 Talk to our specialists and they will guide you through the best proposals for stand designers and builders in the area. 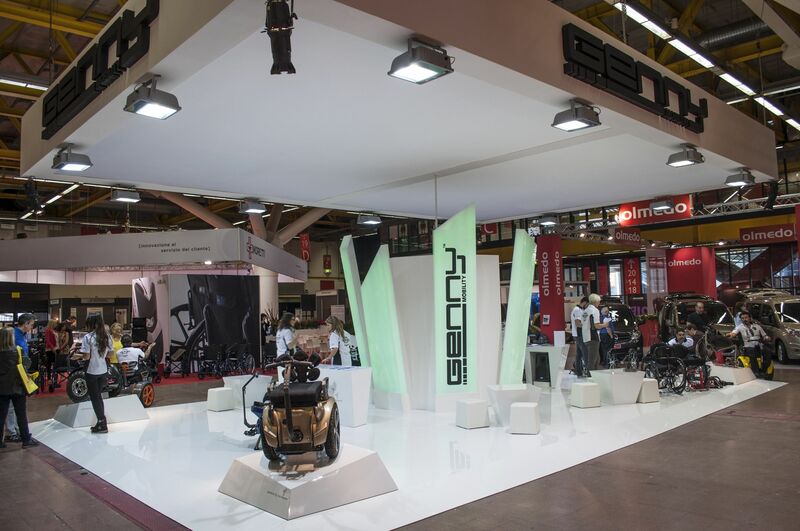 GIFA is the top event for foundry technology in the world. Here, you can find manufacturers, developers and creative designers that have everything to do with iron based technology. This fairground holds 49,000 visitors in which more than half are trade professionals from abroad. 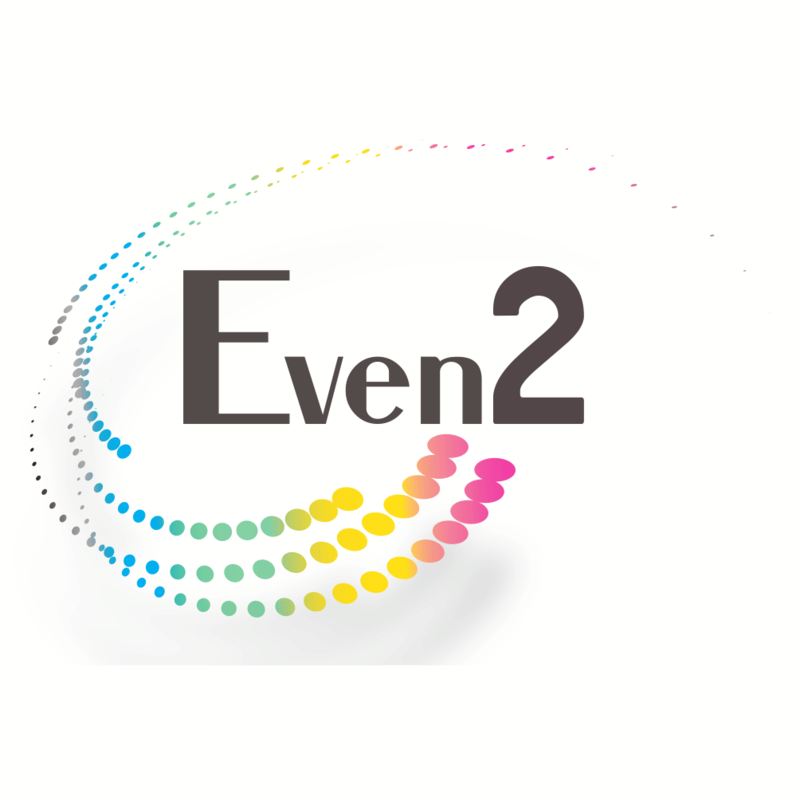 It is the ideal event to present your products as they will been seen by the top business-makers in the industry. Stands are spacious and attractive as the exhibitors want to make sure they are able to display their merchandise in the best way possible. Be part of GIFA today. It welcomes you to present your newest developments and projects. Contact us today to find out more about the best stand builders and designers in the area. Our specialists will find the right one for you. 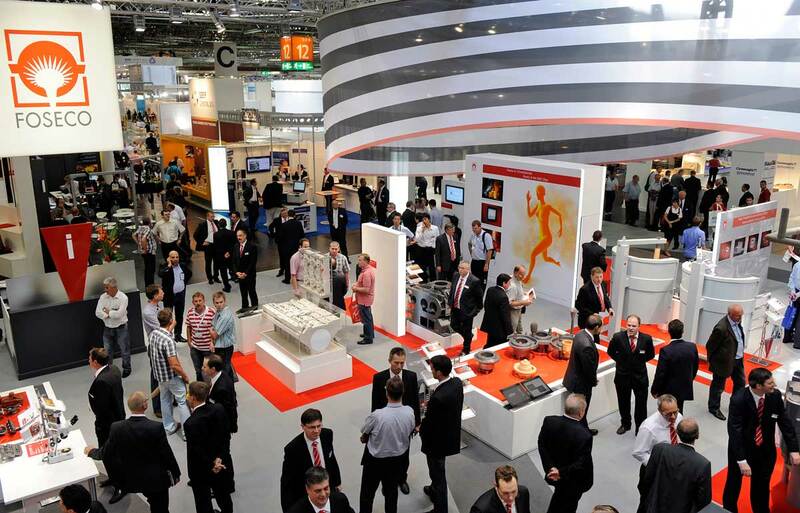 METEC is the top exhibition event for the metallurgical technology of tomorrow. This is the place where the best metallurgy experts in the world meet up to exchange ideas and experience. As their exhibitors hand out information, you notice that the stands in this event have a professional touch. There are more than 480 exhibitors from 33 countries. This fairground fills up with 19,000 visitors in which half are from abroad. Each year, steel manufacturing becomes more and more competitive. With the help of fairs like this one, we are able to see advances in technologies that will help with out future. 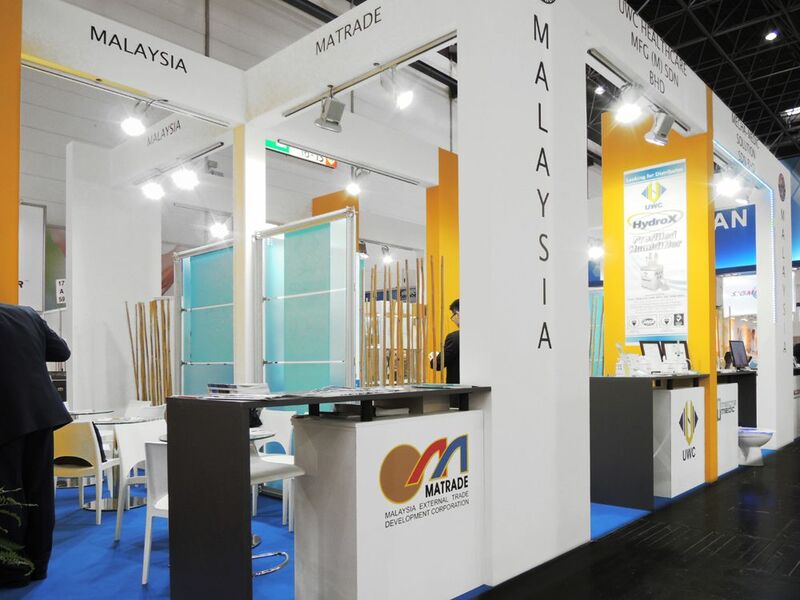 Contact us to find out the best option for your stand at METEC. You will find the top builders, contractors and designers in Düsseldorf. 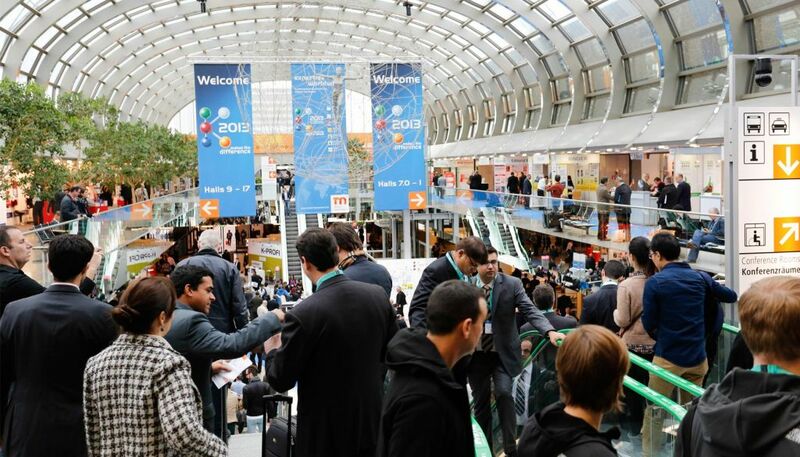 The leading trade fair for technology is EuroCIS. It holds out convicing statistics such as 235 exhibitors from 22 countries, more than 7,00 vistors and new records as in 93% of the visitors left satisfied and a solid 88% would recommend the fair to others. This is an ideal fair for experts from all sides of the industry who are well encouranged to participate. It is mainly about international business, improving networking and helping out with tips in new technology in retailing. All the stand designs are one of a kind and keen into creating their own look. 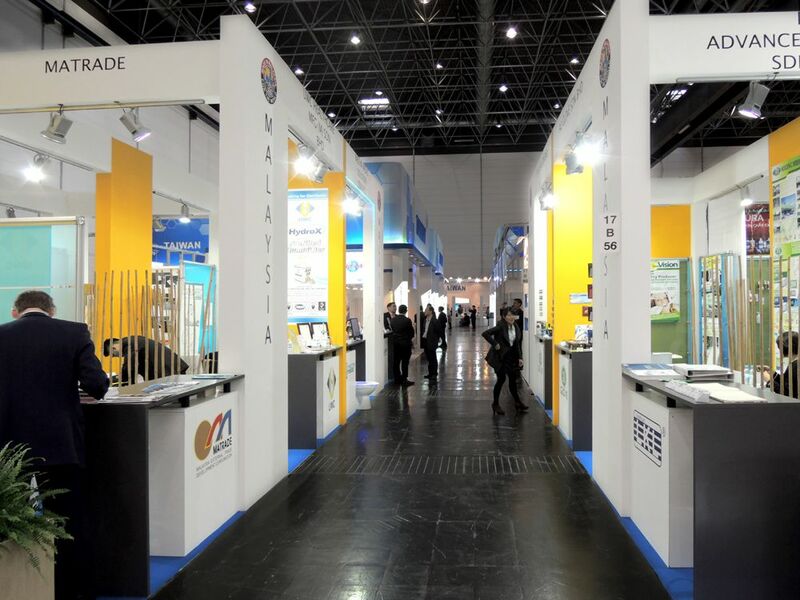 Contact today if you are interested in booking a stand at EuroCIS, we will help you find the right contractor, builder and designers in the area. Get your stand at the ProWein Fair today! 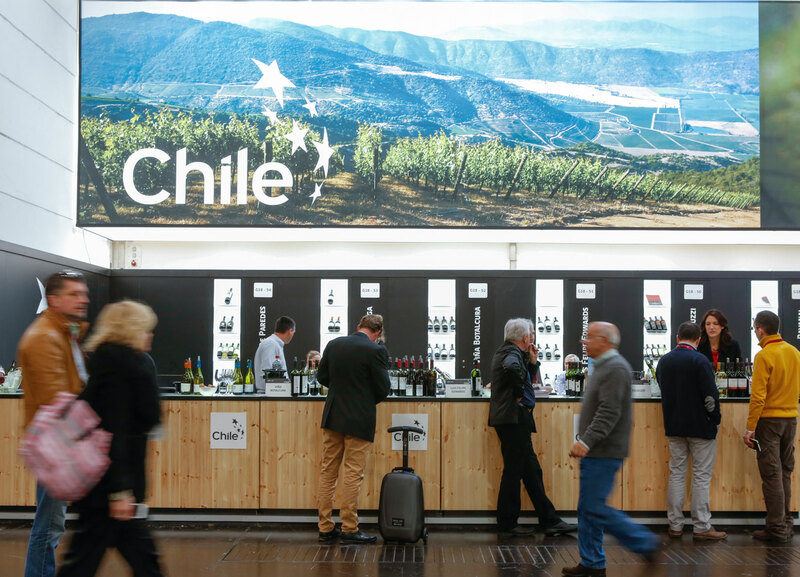 ProWein is the International Trade Fair for wine and spirits. With 400 events, various tasting zones, new types of drinks, where spirits meet vegetables in an invention called garden drinks, seminars that will be held every hour and of course cool tips. Gathering 4,830 exhibitors from 47 countries and even more so visitors from 100 countries, over 780 companies, 2,500 products and 50,000 visitors. It is open to all sides of the field, as in: retail, wholesale and foreign trade, gastronomy, hotel industry, manufacturing industry and divers. Contact us right away to tbe a part of this relaxed event that holds great fun. Be part of it it with your stand today! 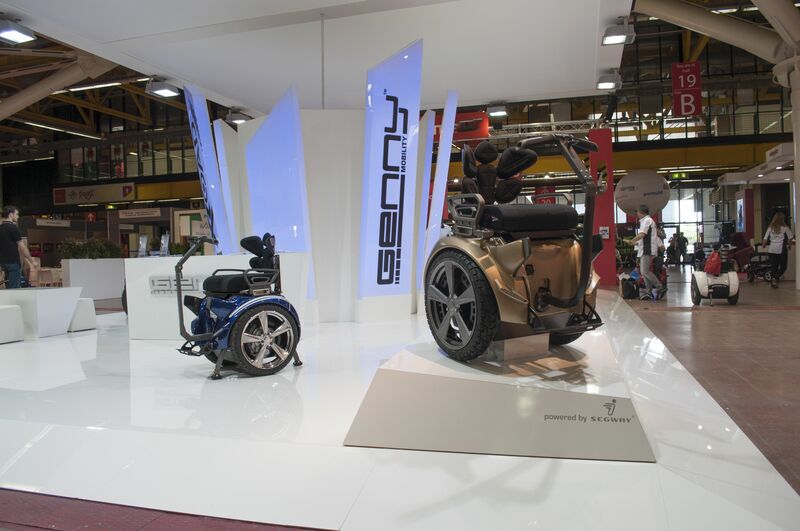 Allestimenti Rinald designed a fantastic Island Stand for the company Genny Mobility at Rehacare Dusseldorf Show. 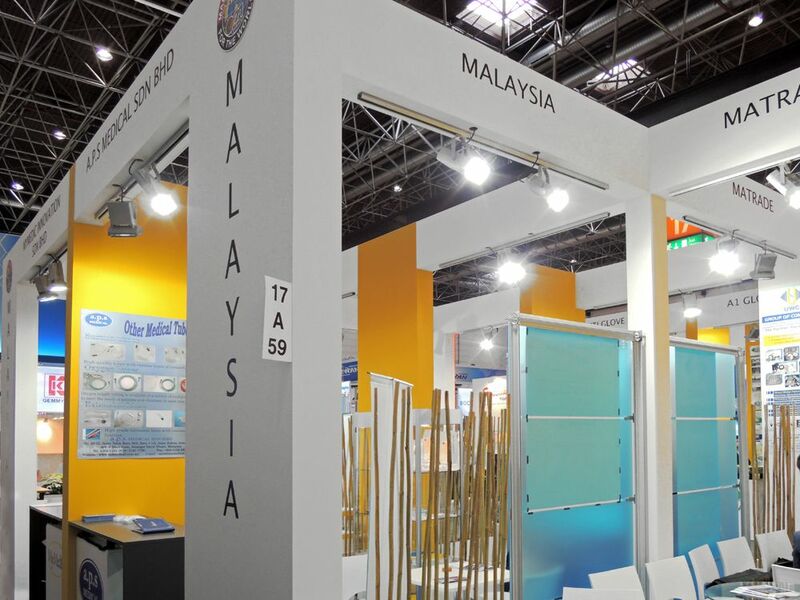 Space Concept has won the international competition for the award of the design and construction of the Malaysian pavilion at Medica 2014 in Dusseldorf.The visit of the ambassador , has established the very successful event. 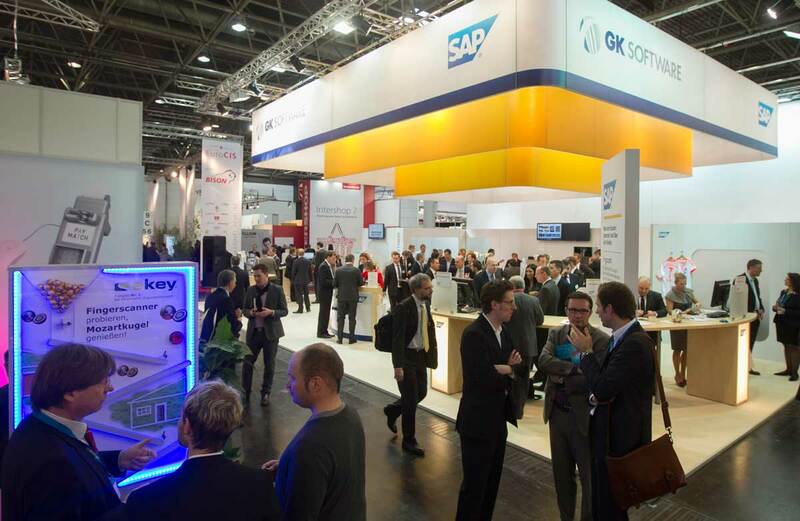 Dusseldorf it is well known as one of the capitals of trade shows around the world. In the world of fashion, Dusseldorf hosts some of the most influential events in the industry, and his main venue, Messe Dusseldorf is one of the biggest in the world. Even if you are not in the fashion industry, you will likely come through the city if you are looking to represent your company to Europe, Asia and Australia. Many trends that permeate the continents have started in Dusseldorf. 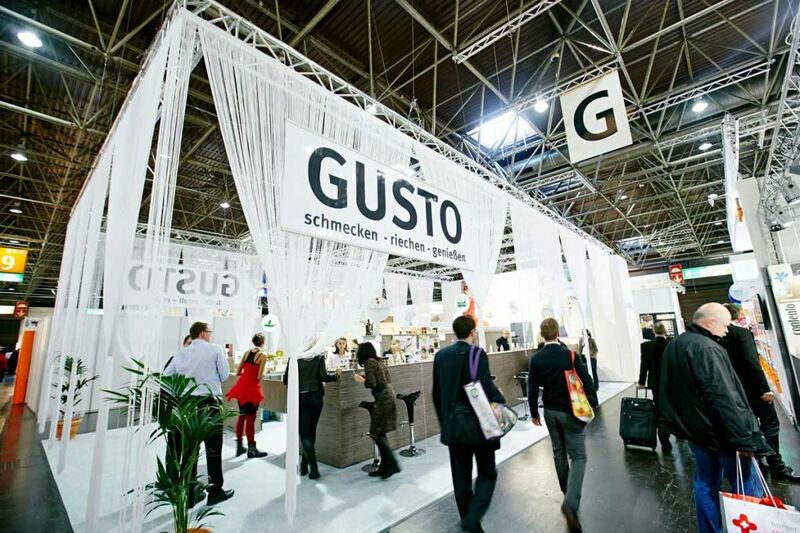 Dusseldorf events are one of the best places to allow new companies and distributors to link. 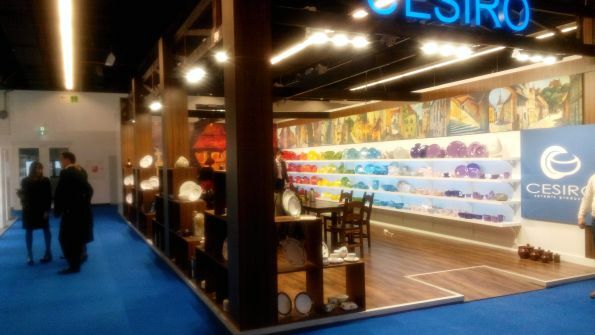 There is a great deal of competition at any Dusseldorf tradeshow; therefore, you will need to make an incredible impression in order to stand out. You will likely not have time to focus on getting the perfect exhibition stand for your presentation. This, however, is a task that you can leave to us. 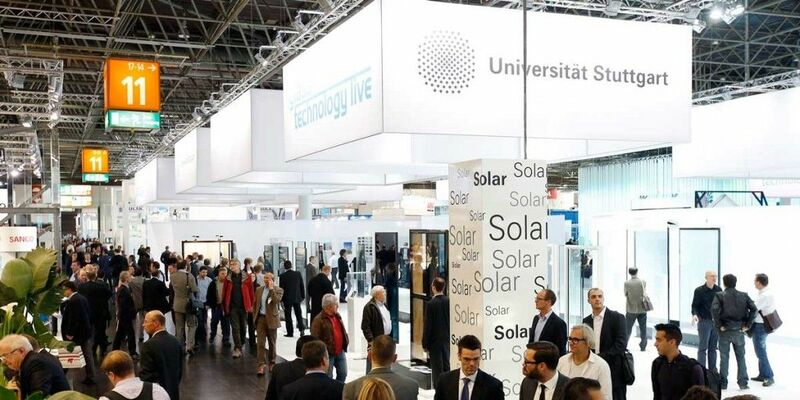 Because the city of Dusseldorf has long been one of the central hubs for trade shows around the world, thousands of stand companies have congregated here. Even with all of this competition, you may not be able to get the exhibition stand that you need in time if you do not know the layout of the city. This is where we come in. 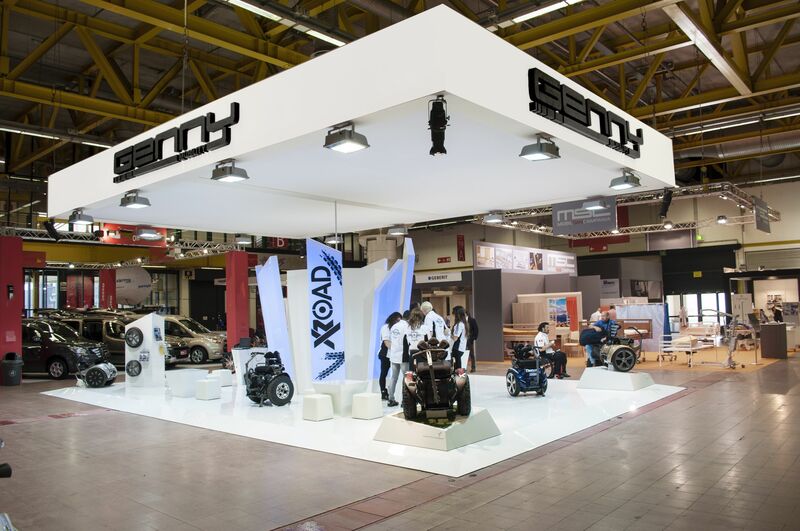 We have done business with all of the top exhibition stand companies in the area, and we can get you the booth that you need in plenty of time. There is absolutely no reason to run yourself ragged calling exhibition stand companies in Dusseldorf. With one phone call to our offices, you will have the top five proposals from all of these companies on your desk. We will make sure that the proposals that are submitted tapes your specific situation into account. There will be no worries about having a shoddy exhibition stand in a high-traffic area. Our initial service to you will be absolutely free of charge. 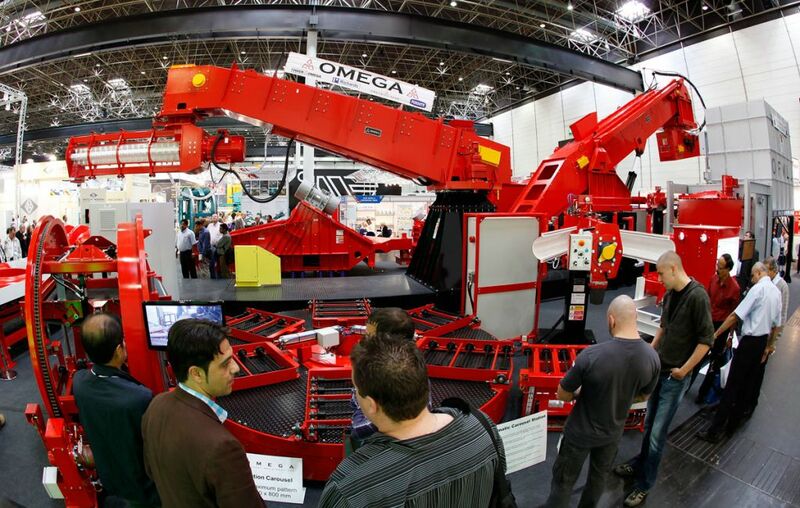 Your eyes should be on Dusseldorf at all times; however, here are some of the top trade shows that are taking place there. 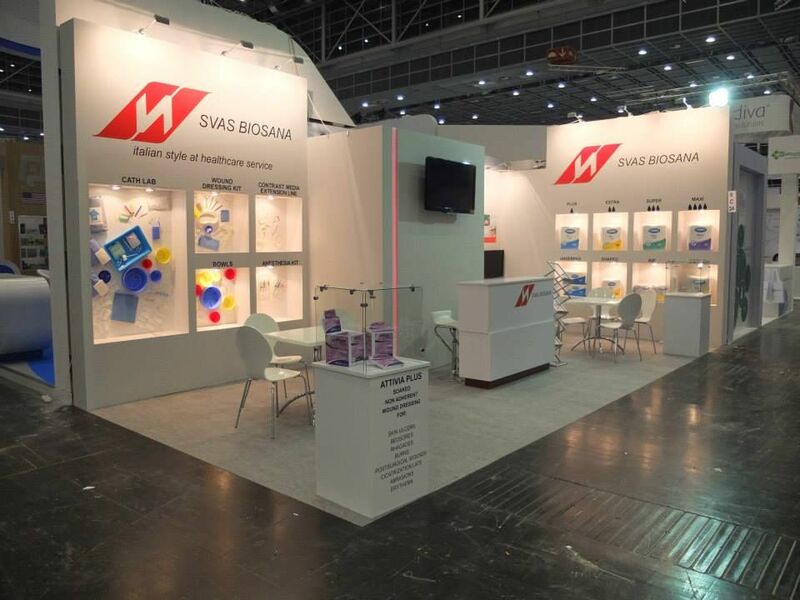 The biggest medical show in Europe, MEDICA Düsseldorf, has more than 125,000 trade visitor form 120 countries in each edition, and more than 4,500 exhibitors form around the world. Interpack is one of the world's most important fairs of the packaging industry and represents with its offers the entire value chain.